When you like dress shirts with unique style and have interesting looking collars and french cuffs, there is Daniel Ellissa. Daniel Ellissa excels in making these Italian design french cuff dress shirts in the latest looks. 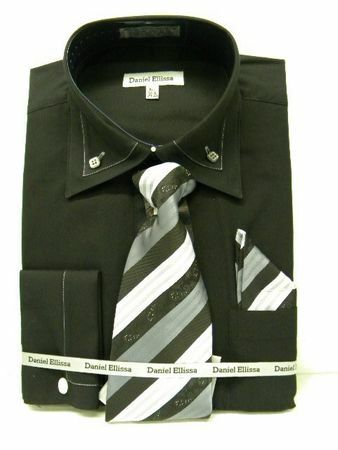 This black shirt features a fancy style collar with button down look and white stitching with the matching style cuffs and a matching tie set. Ready for action.